Our ride showed three rather challenging days to start from Bahir Dar: 162km, “mando day” and then Gorge day. I had enough energy after our rest day in Bahir Dar, but decided also to save some energy and ride to lunch today (85km). It was a beautiful ride through wooded and farming areas. There were even a few places without people around. The first 5km brought us out of town. After this some slow gradual climbs and descents but nothing very steep. Kids were also well behaved this morning. 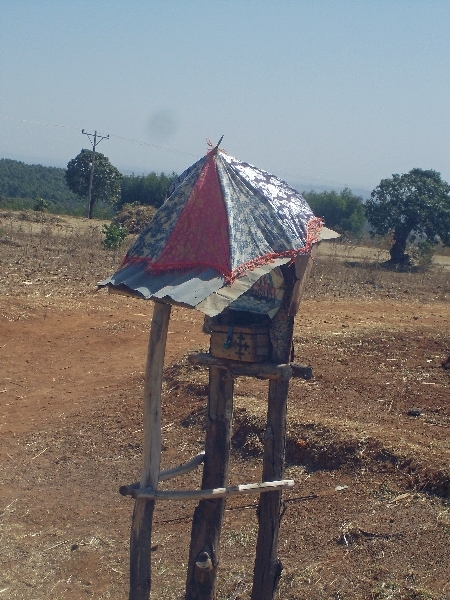 Photo below is of one of the shrines seen along the route. 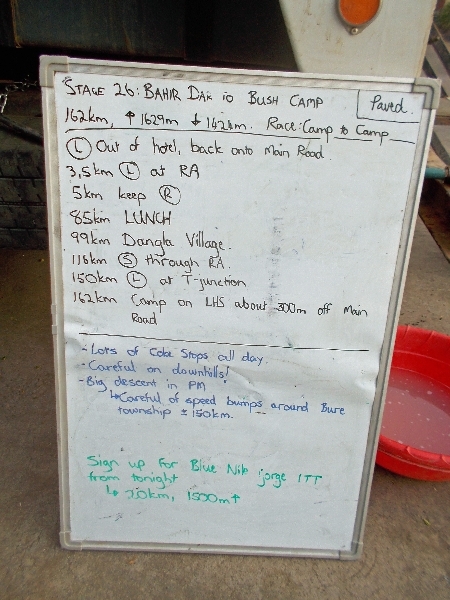 At 20km we crossed our first village. This village had two things I hadn’t seen much before: occasional small hotels and also local bikes with “bike shops” along the road. We had seen some local bikes but not as many before. At 37km was the first coke stop and several friendly and polite locals were watching. After this more grades to cross and also more trees than before. Without much trouble was into lunch at 85km. Our camp is close to a village with many curious locals to observe us (and us them). One local rider got a soccer ball in Bahir Dar and donated it and a whistle to kids, so they are also keeping busy with that. 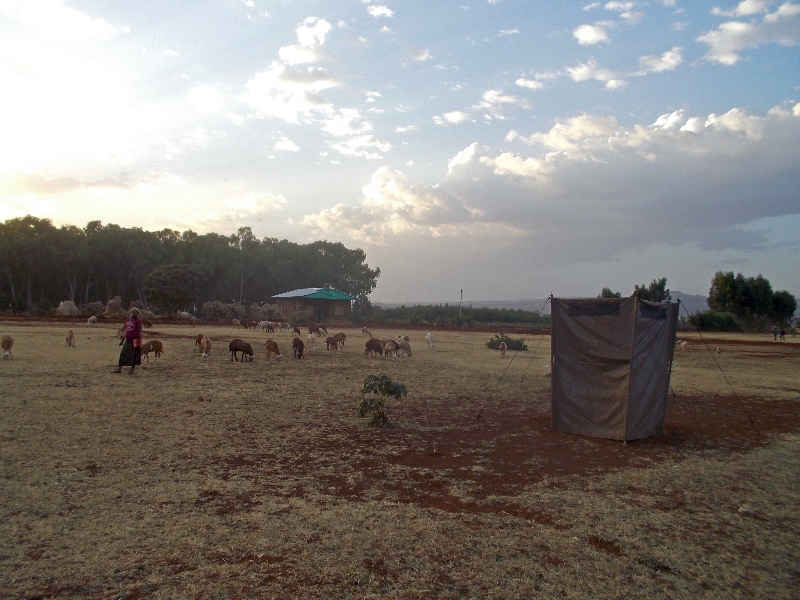 As we are in more populated areas, we now also have “toilet tents” shown below. Holes have been dug in the tent and get some privacy though the tents can also get messy.